I just came across this very cool Indiegogo campaign for Bureh an ethical fashion company that makes these really funky, colorful belts in Sierra Leone. Have a look and support sustainable fashion! Bureh is an ethical fashion company. We make beautiful belts, each one handcrafted in Sierra Leone to the highest quality. 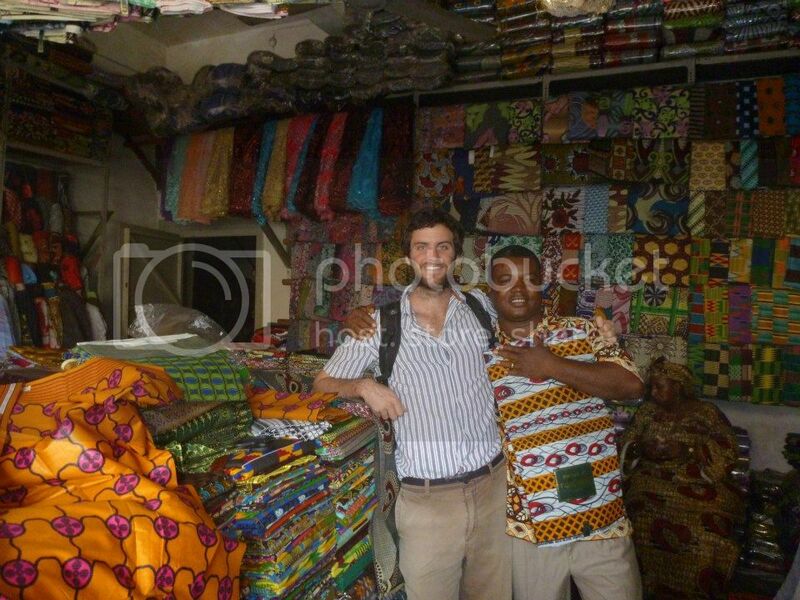 We are about sharing Sierra Leonean fashion: its bright colors, fun patterns and eccentric style. We are also about re-investing HALF of profits back into Sierra Leone's enterprises. Our mission is to strengthen Sierra Leone's manufacturing sector hands-on, by working directly with, training and investing in this sector. We train and employ Sierra Leonean craftsmen, skilled tailors and blacksmiths, to make Bureh belts using designs handpicked by us. Our cloth comes from the vibrant and living streets of Freetown, and our buckles are custom made for us using recycled metals. How are the Belts made? Step 1: Source the fabric. We work with two types of fabric: batik and country cloth. We buy our batik from local trader women at local markets. The country cloth we buy from weavers in the provinces. They literally unravel unwanted clothing from the second-hand markets and recycle the threads to produce country cloth. Country cloth is traditionally worn by Chiefs and other respected members in Sierra Leone. Pretty cool stuff. In case you're curious, Sierra Leone's civil war ended a decade ago. The country has been at peace since, with presidential elections every 5 years. The next one is this coming November.